Can I change where the WEB-INF directory is placed? Instead of outside the WebRoot Directory, can I have it placed inside the WebRoot Directory and still have all of the IDE features available? Configure the Web Resource directory to the root directory containing both your resources and the WEB-INF directory. I've attached a screen shot of the Add Module step I believe I need to change? Would you please elaborate more. 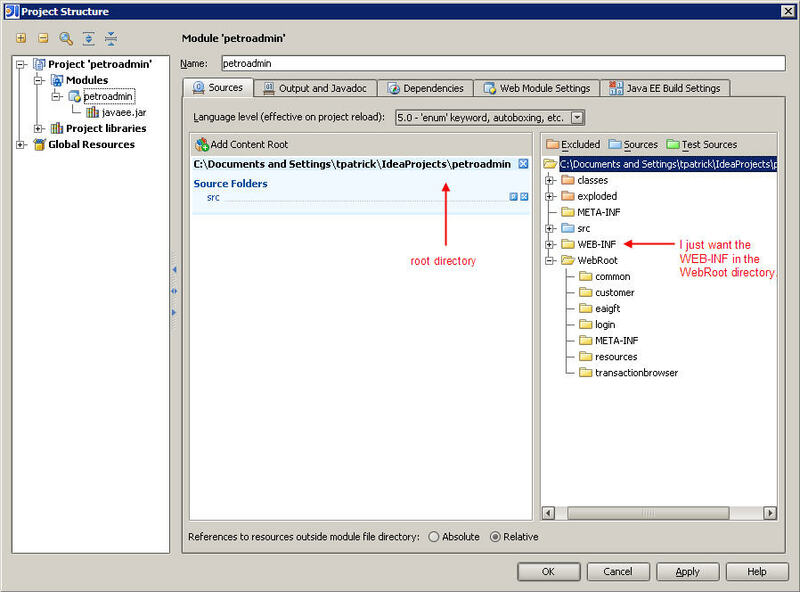 Check the mappings in Web Module Settings | Web Resource directories dialog in your module configuration (Settings | Project Structure).